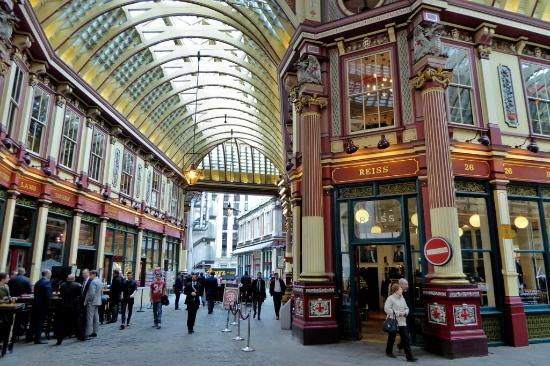 La Tasca Leadenhall Market is a genuine Spanish Tapas Bar & Restaurant situated in the heart of London’s beautiful Victorian market and just five minutes walk from Liverpool Street Station. Step into La Tasca Leadenhall Market for the ultimate Spanish dining experience featuring the UK`s first Rioja Bar, perfect for entertaining clients or having celebrations with friends and family. Serving Tapas and Speciality Dishes along with a truly Spanish range of Wine, Sangrias and Speciality Cocktails, if you are looking for a restaurant in London, La Tasca Leadenhall Market is the ideal place to relax and unwind, after a long day. At La Tasca Leadenhall Market we also host great parties with the restaurant available to hire on weekends for private functions.